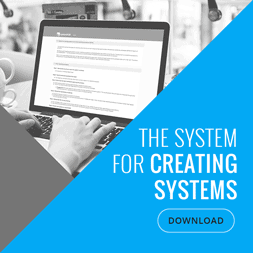 Why Create Systems for Your Business? Authority. Marketing. Sales. As business owners, we’re obsessed with these things. They’re big and powerful, and the potential they bring for future growth and success is tremendous. But there’s one more thing that is just as powerful but doesn’t get talked about as much: systems. It’s pretty easy to think that because we perceive systems as these complex machines with many moving parts—and that’s not true, at all. A system can be as simple as keeping a grocery list or having a writing schedule. Sure, it’s a straightforward one but it’s effective because it’s something you can do on a regular basis and can take you a step closer to your goal. Doing the former, for instance, will help keep your food budget in check, while the latter will get that book out of your head and ultimately into print. And that is what systems are all about. They keep you on track and help you build something great along the way. And if that’s not exciting, I don’t know what is. 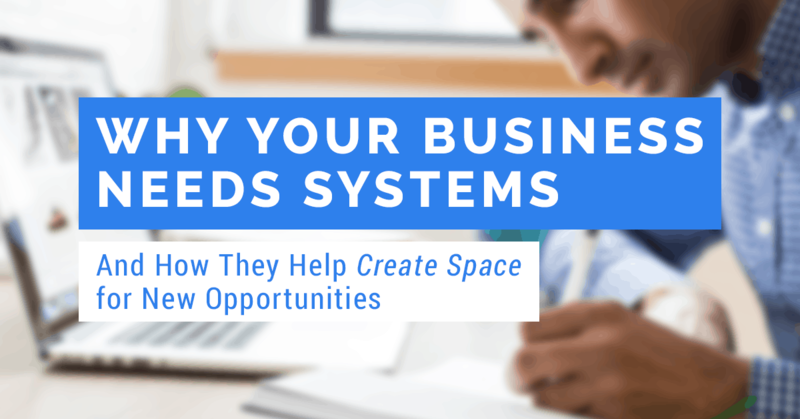 Creating systems for business results in a lot of things. You eliminate distractions. You free up your cognitive load for other more important things. You get a good baseline for improvement. You create a ton of momentum. And in between all that, you create space for more opportunities (that would otherwise have gone unnoticed had you insisted on handling everything)—like enjoying a cup of coffee you brewed fresh yourself, or walking your son to school, or, you know, working with Michael Gerber, the master of systems. Michael Gerber is a small business guru and the best-selling author of the iconic series, The E-Myth—the final book of which I helped launch in 2016. Here’s how having a good system in place opened the door to this big event. David: You might be wondering, “How did you end up getting here?” I know sometimes I ask myself that question when I’m in the middle of something. I just kind of got here. I don’t know how I got here. This photo here is actually taken from a Mastermind that I was facilitating for a guy called Michael Gerber. He was looking to basically find the future direction that his company was going to head—his legacy. He’s an older gentleman. So he’s trying to figure out what those next couple of steps look like and he asked me to lead that. Has anyone heard of the guy, Michael Gerber? If you haven’t heard of his name, you might have heard of his book, The E-Myth. Also, if you’ve heard of the phrase “working on your business, not in your business,” that’s his phrase. He’s the guy who coined that. So The E-Myth has sold well. The Wall Street Journal said it was the number one selling business book of all time, and INC magazine basically says that he’s the guru of small business. What I found interesting: I’m here. I am in La Jolla in the States leading, facilitating the future direction of his business. Now what’s probably most interesting is three months before this. I hadn’t actually spoken to him. He didn’t know who I was and it was just everything kind of fell into place. It’s funny how things just happen incredibly quickly. So I was trying to think how to tell you the story about how I got to that moment—those serendipitous events. Okay, it was about 7:00 in the morning. So I thought, well, she’s in the States. I knew that, so I might as well just call it because it’ll be her afternoon and I got the call recorded. So I thought I might just play it to you. I’ve never chatted with her before and this is the moment when I called her from Australia. David: Good morning. This is David Jenyns. Just calling out from Australia. I’m actually after Luz, I think it is? Luz: Oh my god, is this a real David? David: This is the real David. How are you? Luz: Oh, I am fine. I did want to cry just because, oh my god. You have no idea… you picking up the phone and calling me is doing to life—yours and mine. David: Okay, that’s a good thing. Yes. I know your message came through late last night. I don’t know if you know we’re based in Australia. So that’s why um, yeah. Luz: Yeah. Okay, that’s it. I just finished watching your videos. Luz: And just one of them and I was just now looking for it because I wanted to send it to my husband because I’ve been on a journey this morning for school. I mean, I’ll tell you how I met you and how I found you but it’s all spiritual. It’s all a journey, I’m on the past. And I just knew that I had to talk to you, like now. I just had to have a conversation with you. And then in my right I just dared to say call me now. I’ll go to wherever you are. Come here. I need you. I have to talk to you. I just get over the shock. David: What a great way to start my day. 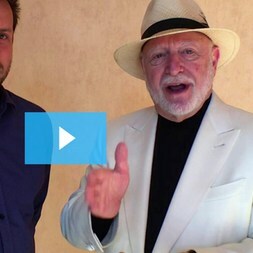 Luz: Do you know Michael Gerber? Do you know the name? Do you know his work? David: Yeah, I definitely know him and have read The E-Myth Revisited and The E-Myth and, yeah, I’m a long time systems advocate. Luz: Beautiful. Well, you don’t know him. Have you ever heard him speak? David: I have, not live. I’ve heard him on some podcasts here and there. David: The story goes on—it was quite a lengthy call. And Michael had just had his 80th birthday and he was working on the final book in his E-Myth series called Beyond the E-Myth. That was the final book that he planned to write and launch that. And Luz Delia had seen me launch my book, Authority Content, from over in the States, loved the launch, started to dig into what I was doing, and then she thought, “I want this guy to do this for my husband’s book.” So for the last book, for the first time, they decided to self-publish. All the previous books had gone through Harper Collins, but this book, they wanted to self-publish so they could maintain control and ownership over the rights. So she reached out to me to launch the book. So I came up with this launch plan and basically copied and replicated what I did for my own book launch. It was a waterfall series of activities that needed to be done by certain dates over a three-month period—literally in that period of time. I worked on this full-time, probably doing 60 hours a week working on Michael’s business. Thousands of emails, hundreds of phone calls. It was quite amazing to see how quickly that name would open doors because I lined up a whole lot of podcasts interviews and things like that for him. I’d mention Michael Gerber, and people would just about fall over themselves to try and do the interview with him. So it was a great experience. The last piece of this—the three months went by in a real flash—and I ended up going to the States to La Jolla to do the final launch that Michael was lining up. Here’s this thing he calls The Dreaming Room and it was one of the last dreaming rooms that he’s planning on running in person. So I thought, “Hey, this is probably a really good opportunity for us to go.” I called in some favours from some good friends. Mike Rhodes and Nick—you’ll actually see he speaks a little bit later today—and they helped to launch the book, as well. Mike was handling the SEM campaign, Nick handled the quiz, and there was another guy but, for some reason, I didn’t end up getting the photo, so I’ve just Photoshopped him in. Troy Dean was the other guy, as well, who came along. So we booked this amazing house in at La Jolla, one of those houses that sit by the rocks kind of hanging off the side of the house. It was just a really nice sort of end to it. Now, rather than me telling you how it went, I’ll just let you hear you one more little clip that only goes for a minute and this is kind of how it all came to a conclusion. Luz Delia: He is responsible for the book launch, a tremendous success, number 29th book of Michael—his 29th book—and the first one that became Amazon’s bestseller in 24 hours. We have spoken every single day. He has kept me on line. He’s been telling me what to do. I require all of you to come. Thank you, Dave from Melbourne Australia, and he’s flown from Melbourne to be here with us, and he’s made the commitment. I just want to give Dave my deepest thanks. I’ve done persistently throughout the process. David: So it went really well. And the book did incredibly well, and they did so well at the completion of it. They actually asked me if I wanted to run the company and head up their company, but it wasn’t the right time for me. It’s not the direction that I was heading. The reason I tell you that story is to get yourself to ask the question: How do things like these happen? How do you go from zero pretty much to hero in a very short space and time? They had no idea about my past. They came to me for the book launch. They had no idea what I was doing with systemHUB or any of the systems stuff or that I’ve been teaching this stuff for ages. They come to me for something else, and the serendipitous way, like the magicalness of that, you just can’t plan for. And the lesson here is that that life is nonlinear. So things don’t always happen in a straight line, which is strange. When you think about the world of systems, you think, “Oh, yeah. Step 1, this happens. Step 2, that happens, Step 3…” and you’re probably thinking that’s what we’ll talk about. Yes, we’ll talk about some of that but where the real magic happens and the game changer happens when you’ve got enough space to spot these opportunities. So these nonlinear situations and you’ve probably had that, is everybody has had that situation where you’ve been in the right place at the right time or you’ve spoken to someone or you’re out and about and you happen to meet someone and they connected you to someone else. And before you knew it, that was your wife or your husband or these things just happen in life. Nothing is so linear that you can structure everything down to a predictable system. That’s the takeaway there. So, how then do you spot these opportunities—because these opportunities are going on all the time. Most of the time, the reason people miss these opportunities that are under their nose is because they don’t have enough space. There’s too much noise going on. If you’re the business owner, you’re in the middle of the business, you’re doing the day-to-day operations. You can’t take your foot off the pedal or the eyes off the road. Otherwise, you’re going to crash. So the real key here for the big events that you can’t plan for is to create this space. The way that I’ve found, the best way that I know how to create space is through systems and it’s simple. I’ll use the example of a very simple system here. But there are some of the really well-known creative thinkers of our time, you know, Steve Jobs, Zuckerberg, Einstein, Obama. There have been quite a few people that have this thing where they all wear the same clothes everyday. It’s almost like a uniform, and the reason they do that is so that they don’t have to think about in the morning making the decision what they’re going to wear. It’s a really simple system that helps to increase the space in their brain so they can start to think about the things that really matter and that are important. That’s what I see systems are doing. What you want to have in your business is all of the basics taken care of. So you, as the business owner, have enough space to be able to look at the business, spot the opportunities, and double down on those. So that’s really what I want to try and do for you today is show you how to create that space to open up in your world the room for those opportunities because those opportunities are there. You might just not be seeing them. That misconception—that systems remove creativity and the serendipity of life—the reverse is true. When you have systems in place, it opens up the opportunities and I think that’s where people kind of get stuck. There are a lot of misconceptions that I want to walk you through today that will help you break through to that next level so you can take advantage of those opportunities when they fall in your lap. What I didn’t tell you in that story is if I go back probably about 18 months prior to the whole story with Michael Gerber was I was right in the middle of running our digital agency, Melbourne SEO Services. I was incredibly stressed out, working 60, 70 hour work weeks, managing all of the team trying to hold this thing together. Then I find out we are pregnant and then I’m going to have a son and then that for me was a real turning point. I said to myself, “I don’t want to be that dad who is always too busy to walk my son to school or hang out.” I live down on the Peninsula now—I’m very lucky. I work out from home and if Nate or Jordan come and knock on the door and they want to play catch during the day, that’s okay. Sometimes I’ll be on a call and they will come and sit on my lap. That would frustrate me back in the day, but now I’m kind of realizing, by creating that space, that’s okay. That’s the life that I want to create. All businesses have goals they work toward—and that’s good. But creating systems for your business and committing to them is what makes the difference. Systems allow you to focus on what’s important. They give you the freedom to do your best work every day. They create that space for new opportunities to come flooding in. They provide you with a consistent desire to be great. And if you look hard enough, you might just find yourself working with a man who wrote one of the best books you’ve ever read. If systemising your business is something you want to do, you will love SYSTEMology. The processes we’ve packed into it are designed to help you build your business into one that can work without you. Take a month off. Go off the grid. We’ve got you.